Yep, I have my first official book signing coming up! It’ll be hosted by friend and fellow writer T.M. 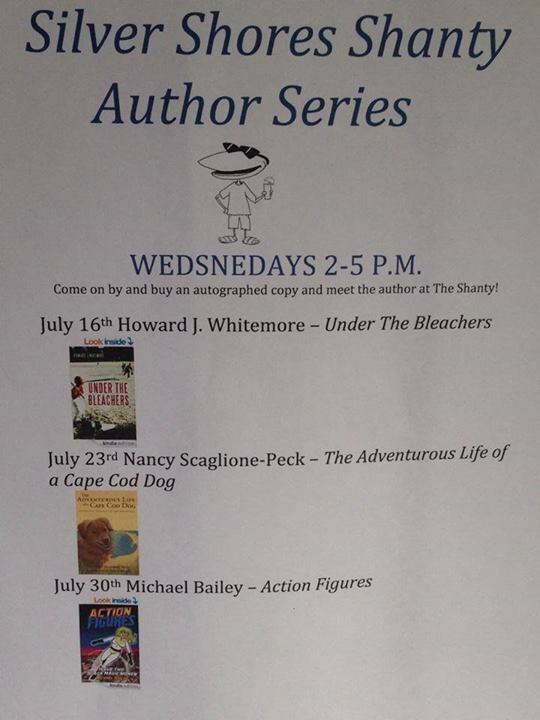 Murphy and held at the Silver Shores Shanty in my home town of Falmouth, so if you’re down on the Cape that day, stop on by to grab a copy of Action Figures, get it signed, and chat me up.